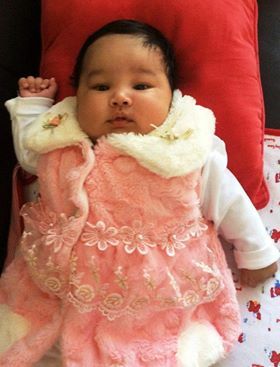 This Gorgeous Girl is the First Baby sent to Nauru under the Dutton regime. She was born after December – too late to be included in the Senators babies. Deported at 5am Thursday with her distressed Mother and Father. She is now living in a hot filthy tent full of flies, no aircon, no running water but 5 guards standing over them at all times. Please tell the Minister to bring her back – nicely. Also please contact the Cross Bench Senators and ask them to advocate on her behalf.